Italian-based Studio di Architetettura Marco Caselletti has made a crumbling old home look brand new with a slatted larch screen. 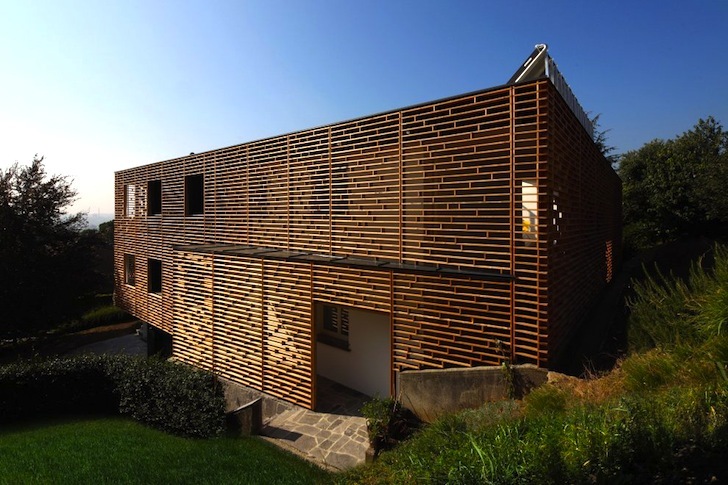 Renewably-sourced and recyclable, the rectangular timber screen wraps around the entire Casa Morchiuosos Erba, casting enigmatic shadows and protecting the home from excess solar gain. In addition to providing a shield against the summer sun, the singular rectangular screen is laid in horizontal strips with gaps in-between that allows natural light to penetrate the home’s interior. 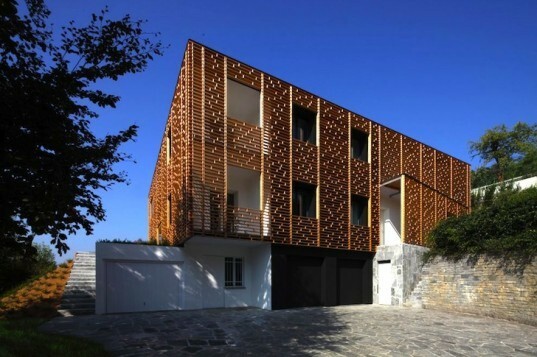 The designers chose larch for its ubiquity, relative renewability and for its superior construction properties. The new shell also creates double-height spaces and provides a transition zone between the indoors and outdoor garden space. Located in the Italian countryside, this sustainable renovation is at once modern and respectful of the region’s vernacular architecture. And what would an Italian countryside home be without a beautiful swimming pool?